Children cannot be accommodated at the hotel.Any additional adults are charged USD 10 per night for extra beds.The maximum number of extra beds in a room is 1.Any type of extra bed or crib is upon request and needs to be confirmed by management.Additional fees are not calculated automatically in the total cost and will have to be paid for separately during your stay. 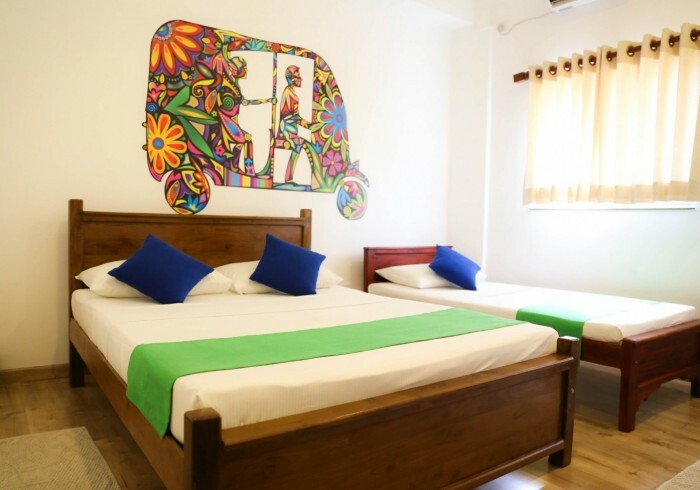 Located right near the Old Dutch Hospital Complex and Hilton Colombo, City Beds The Regent is a small little budget accommodation unit that offers travelers everything basic and necessary for an affordable option. We are right opposite the Lake House building and have 5 rooms which are all air-conditioned and have their own en-suite. We offer free WiFi, tea & coffee and always up for chat regarding what to do around the area and city, In most cases you will be able to join us along in most of our daily activities around Colombo that are designed to showcase all our guests, how NOT TO BE A TYPICAL TOURIST in Sri Lanka. We are a registered, licensed and approved budget motel by the Ceylon Tourist Board and among all our staff have a wealth of knowledge in creating wonderful memories and experiences for all our guests who stay with us.